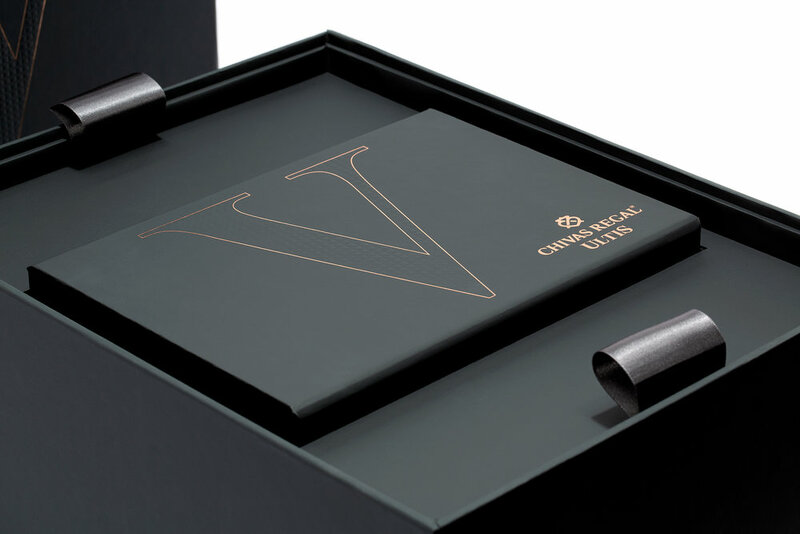 Premium gifting boxes for the launch of Chivas Regal Ultis, the first blended malt Scotch whisky from the House of Chivas. Bringing together five of the most precious signature single malts from Speyside, Scotland to create a blend which represents the style and diversity of this prestigious whisky region. 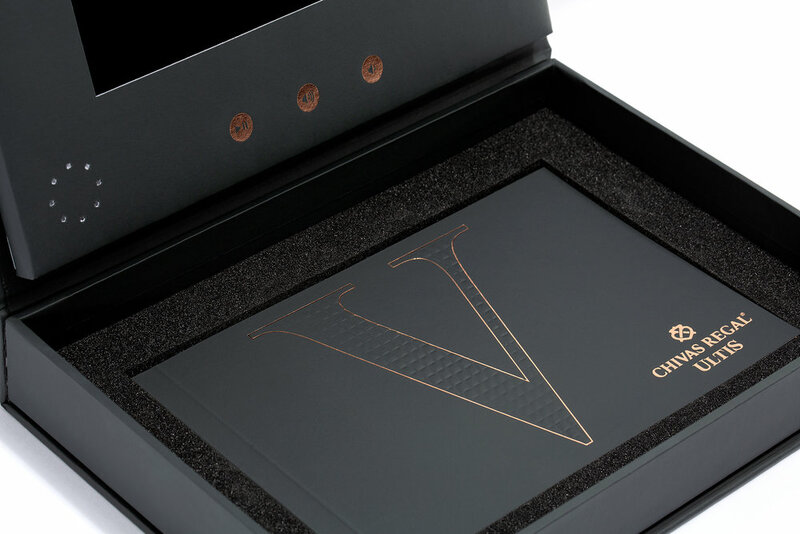 Branded with a sculpted die blind emboss, copper foil and covered with ‘Corvon Mano’, a soft touch material by Winter & Company.